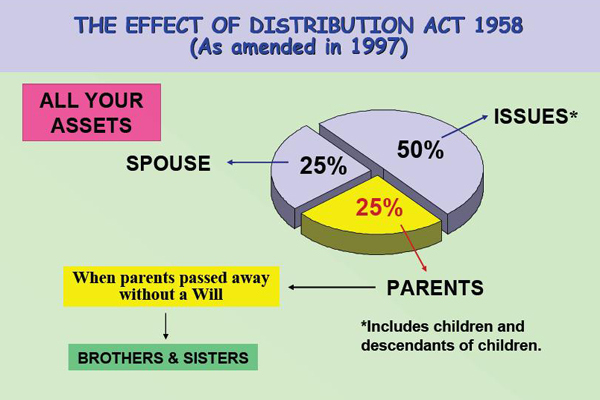 When a person pass away without a Will, after all the debts are paid the administrator must distribute the remainder of his estate according to the section 6 of the Distribution Act 1958 (As amended in 1997) to lawful beneficiaries. Issue: includes children and descendants of children. 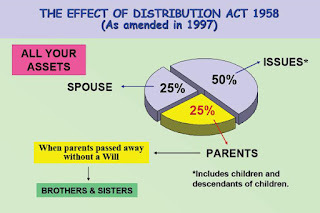 Parent: Natural mother or farther of a child or the lawful mother and father of a child under the Adoption Act 1952.